Cristi was born on 26 June 1996 in Ungheni, Republic of Moldova. Cristi is a Bassist and a Backing Vocalist in The Wax Road – the band that was created once he joined them in December 2013. As a child, Cristi was surrounded by people who played an instrument and he loved the piano since then, highly wishing to play this instrument … and he played it. Cristi took piano lessons in childhood and insisted that his parents brought him a synthesizer. The next musical instrument that Cristi has studied was the guitar. His father is a guitarist and bassist, so when Cristi asked him, he began to teach his son by giving him the first guitar lessons. They spent the lessons in 3, together with Cristi’s cousin. But soon the boys understood that it is not enough, the guitar seemed to be an instrument that needed to be explored. So they started to take more professional private lessons in the city, but this time, Cristi decided to try the bass guitar. Very soon Cristi understood that he’d love to sing in a band. At this stage – together with his cousin – they decided to look for a drummer and a vocalist in order to create a band. But they had not too much success in their search. Natheless, as good things come to those who wait, boys that were teaching Cristi bass guitar suggested him to play rhythm guitar in their band. Cristi accepted and with this new role in a band, his dream seemed to come true. After a while, Cristi went to a Music School in Ungheni. There comes a proposal for annexation to a band, where Cristi was playing the bass, but this collaboration didn’t last long. Instead, Cristi met there Dan, Victor and Ion (the rest of The Wax Road band). 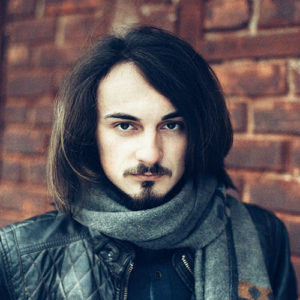 Before long, they had to participate in a music contest (in Chisinau, on 1 December 2013), they, needed a bass player so Alex Mostovoi proposed Cristi to join the guys for this contest. Just after 3-4 repetitions, boys performed in 4 in Chisinau, where they took the first place. That was a memorable day for the band, the day Cristi was asked if he wants to be part of the new band, his answer was simple: “yes, sure.” So that, Cristi Budac becomes the 4th member of the current The Wax Road band.